The Caribbean has well and truly mastered the art of roadside eats and the Cayman Islands is now upping its grilling game. Since the prolific food truck phenomenon burst onto the culinary scene, street-eating has transformed and trickled over into the islands. With schedules getting busier, and no time to linger in crowded restaurants, grabbing a cheap jerk burger and devouring a foil wrapper lunch is becoming the norm. A simple convenience, or an authentic taste of the islands, either way, Cayman is initiating an ever-growing, 'eating-on-the-go' trend. These guys are raking in the culinary awards and once you sample the super-tasty, slow-wood-smoked, barbecued meat from chefs Cody Bush and Anthony Lawson, you'll see why. This orange-hued, mobile food truck is the latest and greatest addition to the street food movement. To track this trendy truck's whereabouts, just follow the diet-destroying, oh-so-satisfying smell of barbecuing meat and you'll find it. Or you could just check Facebook. 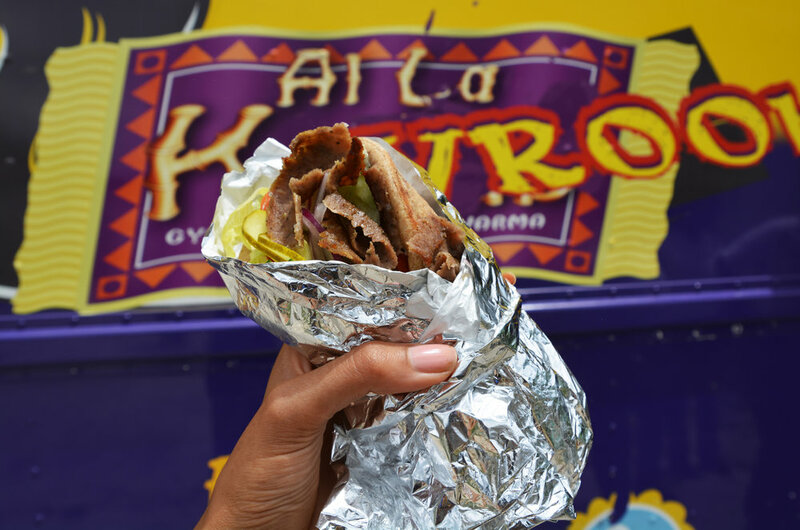 Cayman's most popular 'kebaby', Al La Kebab hit the road in the form of a large purple truck and a cute play on words. Rolling through the streets of Cayman serving up Mediterranean and Middle-Eastern fast-food dishes like beef, lamb or falafel wraps smothered in tzatziki sauce and veggies, A La Kevroom is a great choice for a filling, on-the-go lunch. Add a side of fries, a pot of gooey, delicious poutine or a healthy-ish tabouleh salad. A jerk stand that effortlessly captures the essence of the real Caribbean. Come here on a Friday night and you'll find jerk chicken smoked to perfection in roadside, rustic steel drum barrels. You'll have to battle the crowds and possibly an impending jerk addiction, but if you want a taste of culture and Caribbean-style food in one place, get yourself to Red Bay. 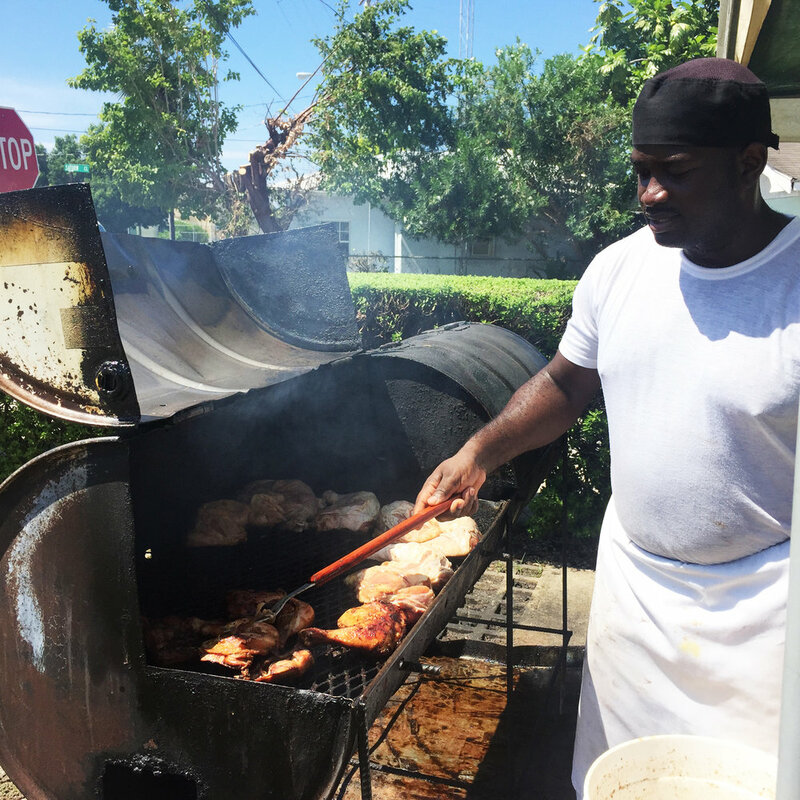 Another top jerk spot, you'll find the 'meat master' chef Patrick frying up chicken, pork and other roadside spicy treats on Eastern Avenue on Wednesdays through Saturday. Open until 1am on Friday and Saturday nights, stop by at this time and this small marquee is packed with ravenous locals fighting for a box of the good stuff. A fruit-filled, brightly-coloured truck bursting with goodness. Everyday at the cricket pitch, farmer Geoffrey Nixon and co peddles the freshest-of-the-fresh fruits and veggies and blends up smoothie concoctions to die for. Grab a strawberry and banana juice to go, it's killer. Outside seating, reasonable prices and overly-generous, insanely delicious helpings of Caribbean-inspired food is what sets this truck apart. You may miss it on the first attempt, but you'll find Gabriel's Grill, the brainchild of inventive chef, Hansel Rankin, on the corner of Elgin Avenue. Rankin is bucking the farm-to-table trend and instead pioneering a farm-to-street sensation. Go for for the lobster mac and cheese or the rum glazed BBQ chicken with roast breadfruit salad and coleslaw- in fact anything on the menu and you'll be hooked. 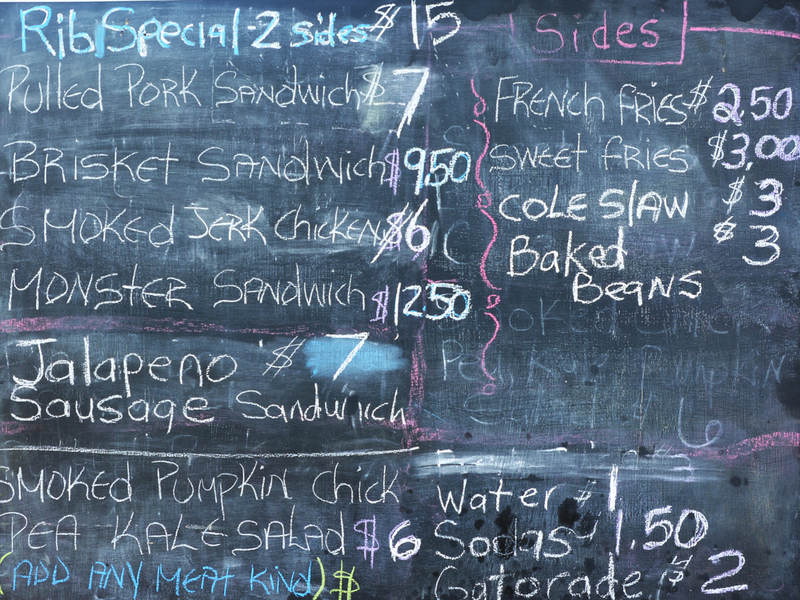 What are your favourite street eats in the Cayman Islands and the rest of the Caribbean? Share in the comments section below.